The beginning of modern seismological investigation of the territory of B&H dated from relatively old time. On January 1, 1905 in Sarajevo, during Austro-Hungarian rule, on the Grdonj hill, in a special building, which exists even today, the first seismograph was established and begun to work (the vertical component). 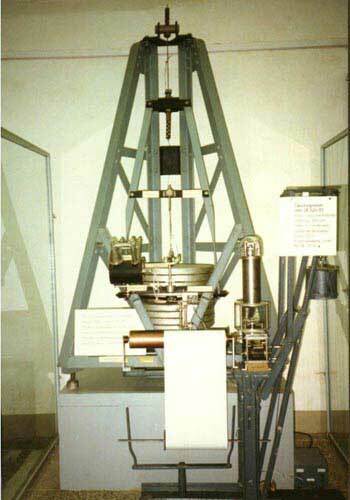 In the subsequent years two new seismographs were added (horizontal components). So, at the beginning of the 20 century Sarajevo had the most modern seismological service in Europe for that age. Based on that instrumental data it was founded that, on the territory of B&H, almost every day there are, in average, three earthquakes. Theirs intensity is less than II degrees of Mercally scale and they are recorded only by instruments. The stronger earthquakes are rarely. The hypocentral depth of these earthquakes is from 4 to 30 km. Every year there are about ten stronger earthquakes (in average) which could be felt or which could cause damage on buildings. From the year 1905 on this area the instruments recorded 1161 earthquakes with magnitude greater than 4.0, or with intensity more than VI degrees of Mercally scale, i.e. those were earthquakes which caused damage or killed people.